Aloha Jazz & Blues Lovers! 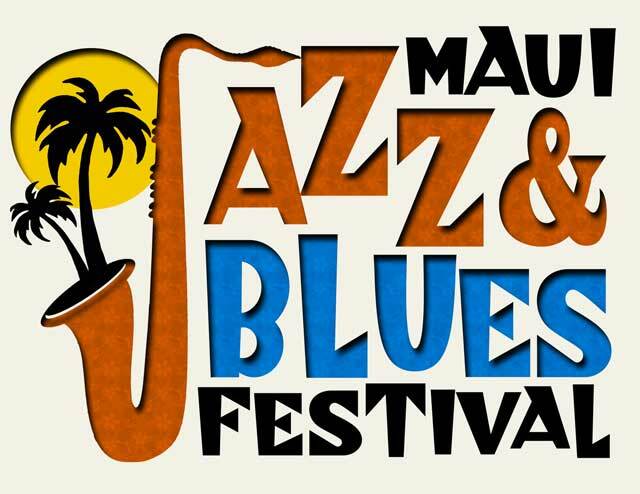 Join The Grand Wailea Resort, with HawaiiOnTV.com and Jazz Alley TV for the 2nd Annual MAUI JAZZ & BLUES FESTIVAL, Coming September 15th, 2012 at The Grand Wailea Resort, Wailea Maui Hawaii. only $220 per night (plus tax). Call (808) 875-1234 to Book Your Rooms Now!! A week long build up of Great Jazz begins on Thursday September 13th at Capische? Restaurant in Wailea, with the Jazz & Blues Festival Opener featuring Live Jazz and Special Guests from 6pm-9pm. Call (808)879-2224 to book Dinner Reservations now! The Festival also kicks into full gear Friday Night, September 14th, with a special Jazz and Blues SUNSET CRUISE from 5pm – 7pm on the Kai Kanani! !Call (808) 879-7218 for reservations! The Second Annual Maui Jazz and Blues Festival gates open Saturday September 15th at 4pm, Oceanfront at the Grand Wailea’s beautiful Molokini Garden. NO COOLERS, OUTSIDE FOOD & BEVERAGES, OR CHAIRS ALLOWED, MAHALO. Enjoy Award Winning Jazz and Blues music from 4:30pm – 9pm with Jazz and Blues Legends, Grammy Winners and Na Hoku HanoHano Winners! $1000 VIP Tables for 10, or General Admission $50 (thru Sept. 7th). 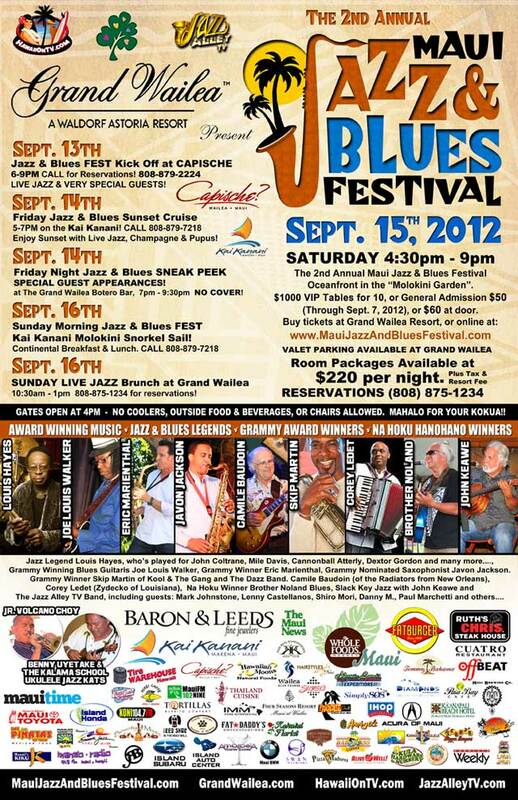 Purchase tickets online at www.MauiJazzAndBluesFestival.com, or Purchase tickets at the door for $60. Room Packages Available at $220 per night. Plus Tax & Resort Fee. Call (808) 875-1234 for reservations. Unwind on Sunday morning, September 16th, from 10:30am – 1pm, at our Grand Wailea Jazz Brunch with Special Guests! Call (808) 875-1234 for reservations. (Limited Seating). You can also take a wonderful Jazz and Blues Molokini Snorkel Sail on The Kai Kanani! Continental Breakfast & Lunch included. Call 808-879-7218 for details! !